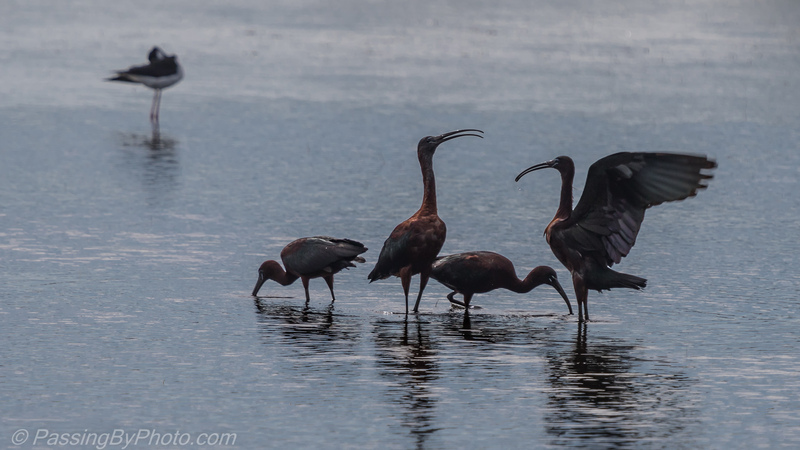 Two Glossy Ibis go about their business, feeding in the shallow water. Their companions seem intent on getting into each other’s business. 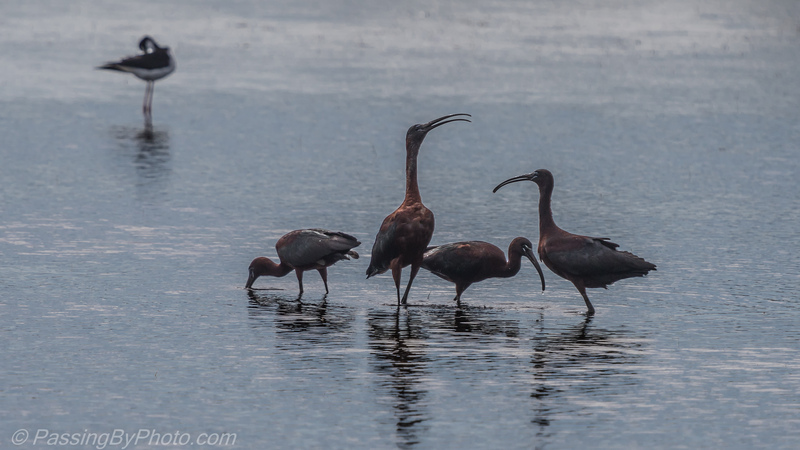 A little sun would have helped bring out the gorgeous colors in these birds’ feathers. 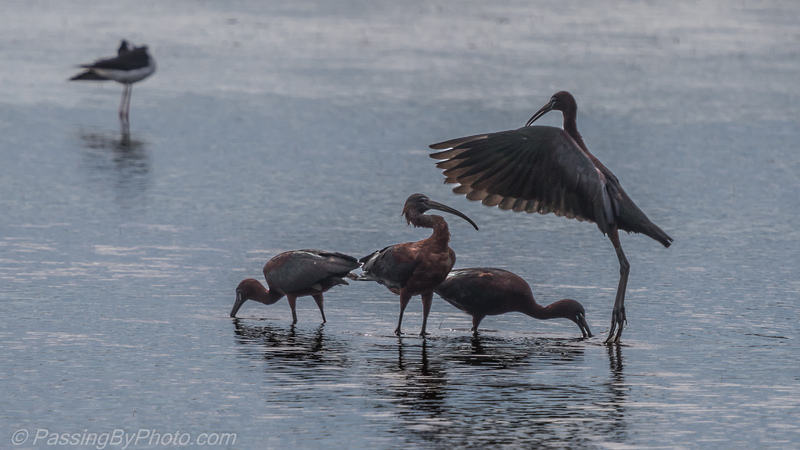 Rising up out of the water on his toes, Ibis #4 had the last word.